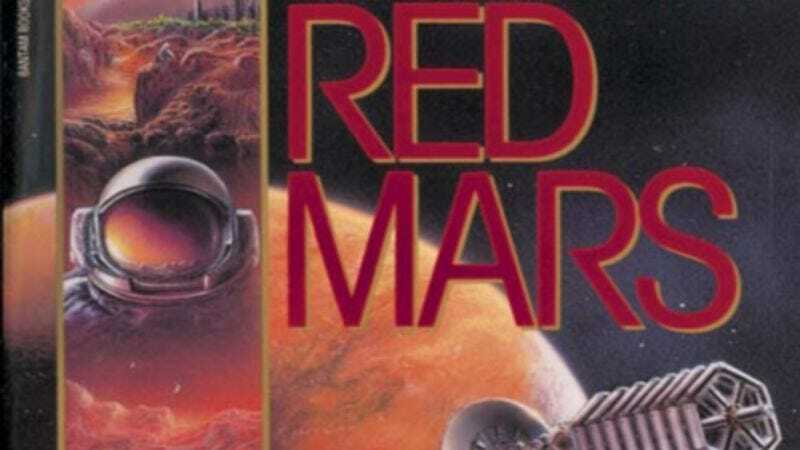 Marking its first original scripted series in nine years, Spike TV has given a straight-to-series order to Red Mars, a show based on the award-winning “Mars Trilogy” by Kim Stanley Robinson, The Wrap reports. The trilogy—consisting of Red Mars, Green Mars, and Blue Mars—charts mankind’s colonization and transformation of Mars from barren red rock to presumably another place where humans can stay inside and live-tweet TV shows. The hour-long drama will be written and executive produced by J. Michael Straczynski (Sense8, Babylon Five) and executive produced by Vince Gerardis (Game Of Thrones, Fast Forward). Sharon Levy, executive vice president of original series at Spike, said in a statement, “This group of strangers must find a way to live together and survive under the most daunting conditions mankind has ever faced to become the first living generation of Martians.” The show sounds a bit like Lost, only instead of a smoke monster, there are epic sandstorms, and instead of Others, there’s absolutely no one else. There could still be love triangles and Backgammon, though.